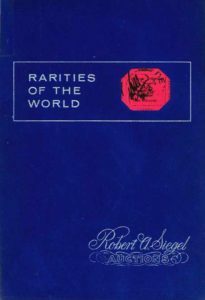 One of the lesser known assets within the American Philatelic Research Library (APRL) is one of the largest collections of worldwide philatelic auction catalogs and names sales. 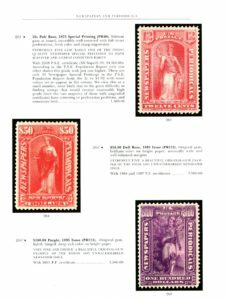 Researchers often consult auction catalogs to identify certain philatelic items as to their value over time or to see items that, if it were not for philatelic auctions, might not have been previously available for public viewing. 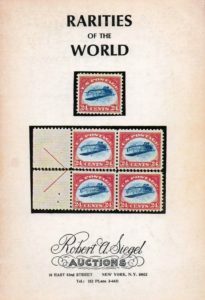 Auction catalogs provide a history to the commerce of the philatelic world for both the hobbyist and the serious philatelist. 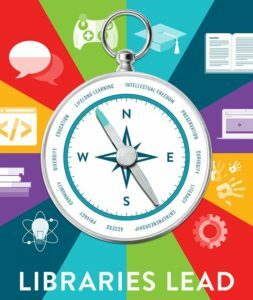 Today marks the middle of National Library Week and its motto of “Libraries Lead” as we recognize the role of the APRL. For another perspective of this role we turn our attention to how the world of philatelic auctions and auction houses make use of the APRL’s resources. Andrew Titley, a life-long collector working as a philatelist with Robert A. Siegel Auction Galleries, one of the world’s highest-grossing stamp auction companies and the largest in the U.S., often consults the APRL’s auction catalog collection when new material is brought to the esteemed philatelic auction company. 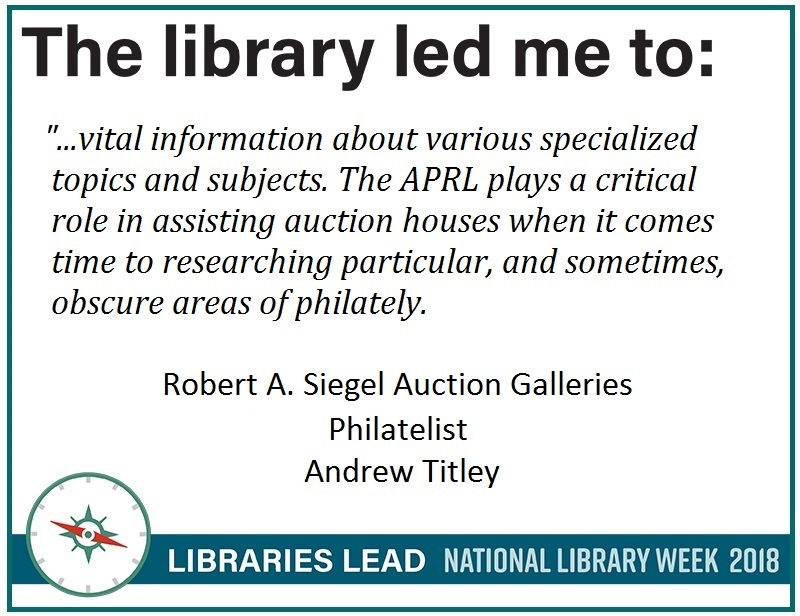 As an experienced philatelist at Siegel Auctions, he recognizes the important role that the APRL plays in the hobby and more importantly its significance in leading him to the resources necessary in his work. Whether searching for a particular lot description in an auction catalog or discovering a specialized collection, the APRL leads collectors and specialists to unique resources found only in the world of philately.